We highlight five moments, situations or names that condense and summarize the progress of Polartec-Kometa in the junior category during 2018. 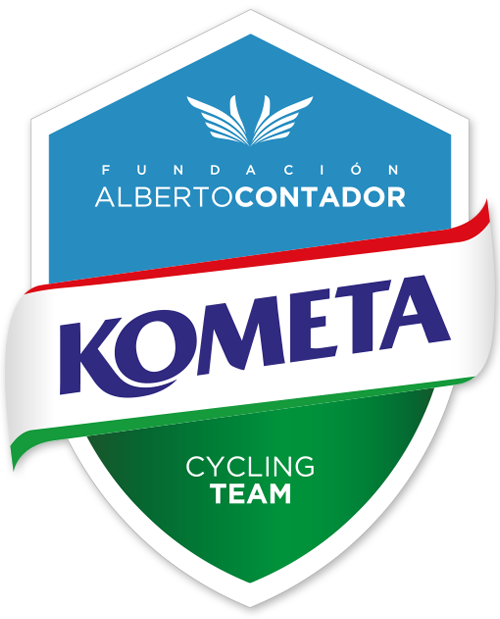 A very fertile and more fruitful year within the formative structure of the Alberto Contador Foundation directed by Guillermo Gutiérrez. We highlight five, although there could be many more, because a season is full of small print, fleeting instants and anonymous people. 1. A question of squad. In the heart of the junior Polartec-Kometa the collective is given a capital importance. Several victories in the general by teams of some stages races or a day races verify this eagerness; to the front, the general by squads of the Cup of Spain, a success that abandons a way of seeing the cycling in which also, without losing sight of the formative character of this category, they emphasize own names and concrete moments. 2. Álex Martín shines in France. In the tests of this category there are not lack the orographic difficulties of entity, but a port of the category of the Grand Colombier, of an extreme hardness, without a doubt raises major words. In the l´Ain Tour this colossus marked one of the stages of his demanding route and there the Catalan Álex Martín shone. 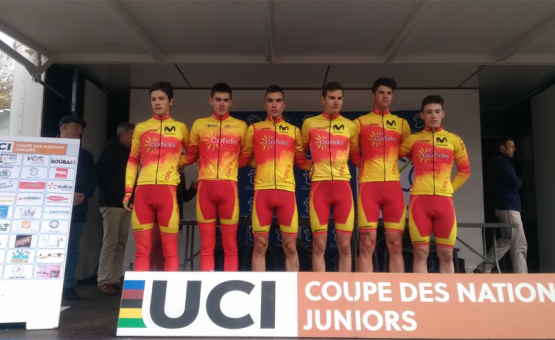 The Barcelona rider, who jumps to the U23 team for 2019, set a great performance in the French race, winning the final general in a final stage in which he jumped from fourth to first place in the classification, step by step, a constant comeback after giving almost two and a half minutes the first day. 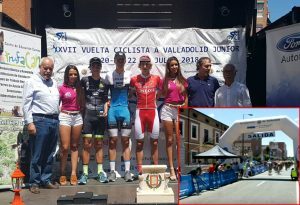 A great performance, a execution of strength and patience and an ideal finish for the work of all the Polartec-Kometa in this remarkable triumph of Martin, signatory also of the victory, unpublished in the structure and therefore also longed for, in the general final of the Vuelta al Besaya. 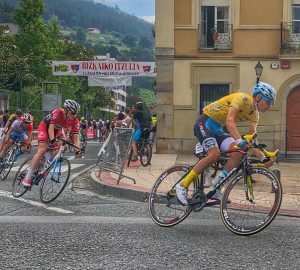 One of the most outstanding riders during 2018 in the category has been Carlos Rodríguez from Granada. 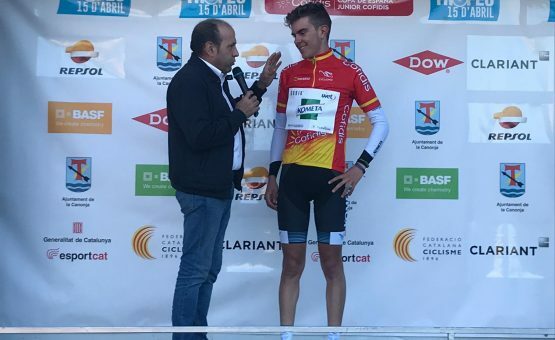 The Almuñecar cyclist, in his first year as a junior, has won the Spanish Cup overall and the Itzulia overall and finished second in a Vuelta al Besaya in which, as leader, he sacrificed himself for the team in the final victory of Álex Martín. 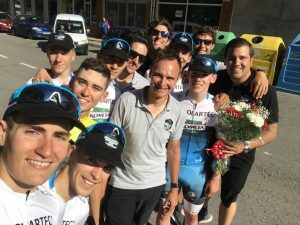 The Andalusian cyclist has even shone with the Spanish team, with which he achieved good results and some victories in the Nations Cup (for example the Trophée Centre Morbihan or in Paris-Roubaix) and a bronze medal in the European time trial. 4. The speed with prize of Juan José Rosal. 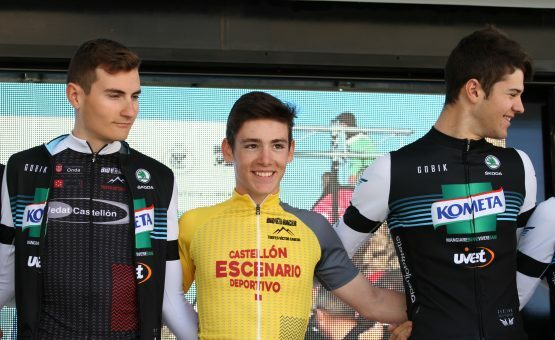 The fast first year Catalan junior has displayed his physical strength during many moments of the season in favor of his teammates filtering into escapes or working in the pack. All for the team. At the end of July, in the last stage of the Vuelta a Valladolid he had the chance. Rosal had the opportunity to obtain a victory that came to reward all that sacrifice with a personal achievement. It was his first victory of the year and he arrived after a very nervous sprint, not without nerves. Juan José finished ninth in a general final where the Belgian Alex Vandenbulcke, given for the occasion, finished second and the Madrid Miguel Patiño, finished sixth. 5. Manu Garrido, for lack of a prize. 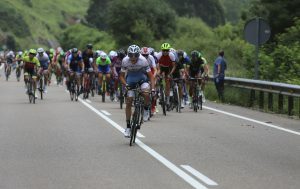 Fourth in the Vuelta a la Ribera del Duero, sixth overall in the Challenge Vuelta a Talavera, where he signed the second place in a first day and was very active during the remaining two days, the Andalusian could not realize that victory that would have put a finishing touch to an intense campaign full of efforts and sacrifices for their colleagues. A success that resisted him. 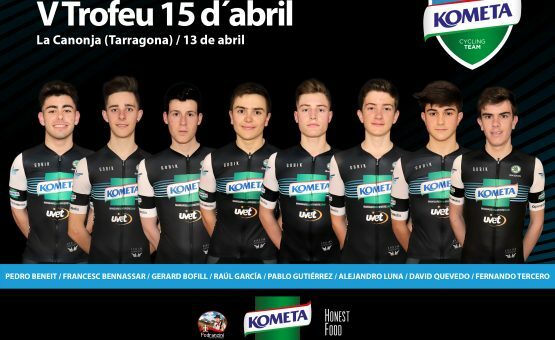 Always willing to roll over with the others, the Jienense has been one of the most active riders of the Polartec-Kometa junior during this year, either working at the front of the pack or getting involved in escapes. Garrido, who makes the jump to the U23 category with Team Extremadura, has been a fundamental piece in many of the team’s achievements.